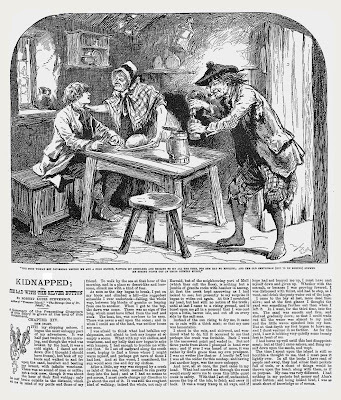 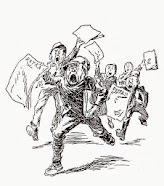 When young Hope expressed these thoughts on art and reproduction Robert Louis Stevenson’s ‘Kidnapped; or, the Lad with the Silver Button,’ with accomplished illustrations by William Boucher, was in serialization in Young Folks. 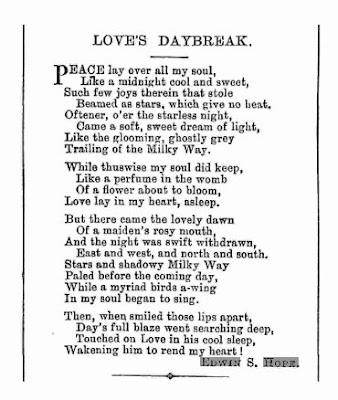 Edwin S. Hope was a frequent paid contributor of poetry and prose to the Literary Olympic and Tournament section of Young Folks story paper. S. Dacre Clarke and Alfred Harmsworth contributed as well. 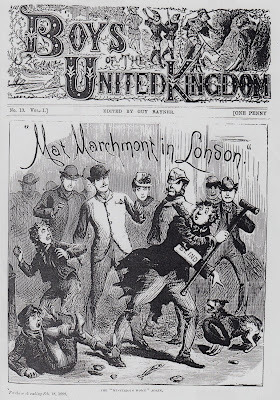 Harmsworth’s columns on ventriloquism, photography, and bicycles became a continuing feature. The Christmas Double Number contained forty portraits of the chief competitors. 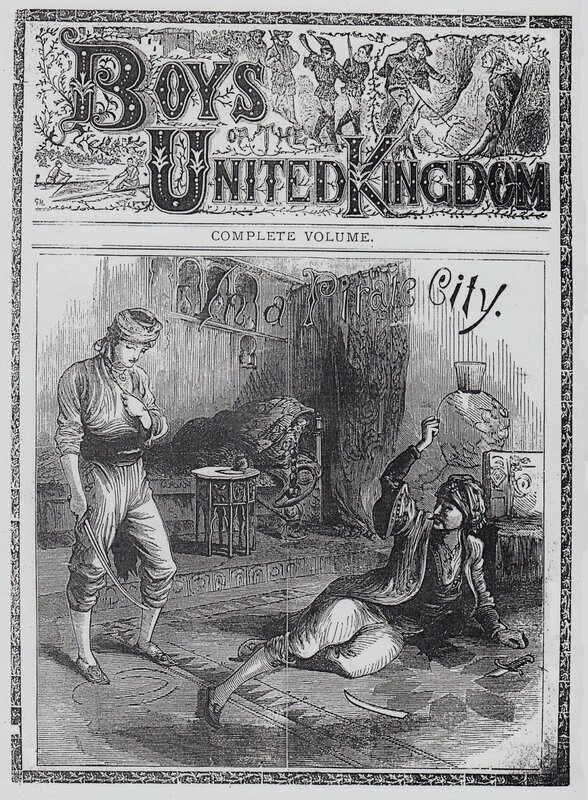 No doubt Hope was one of this number as he seems to have favorably impressed the editor of the Letter-Box. 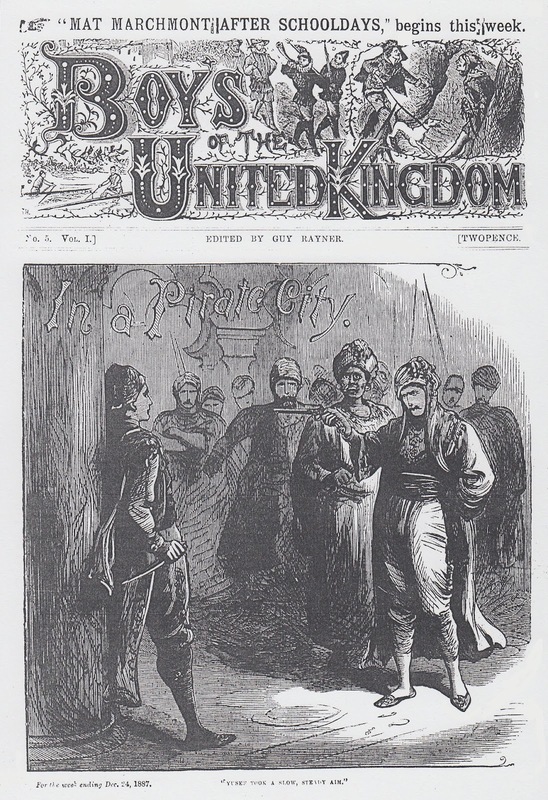 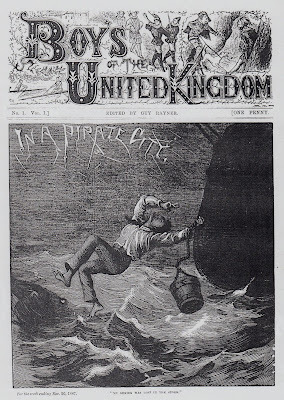 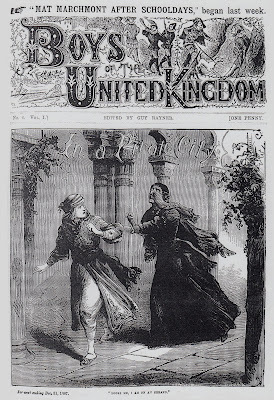 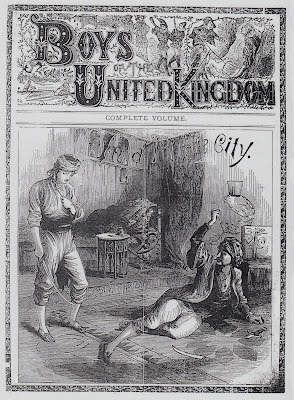 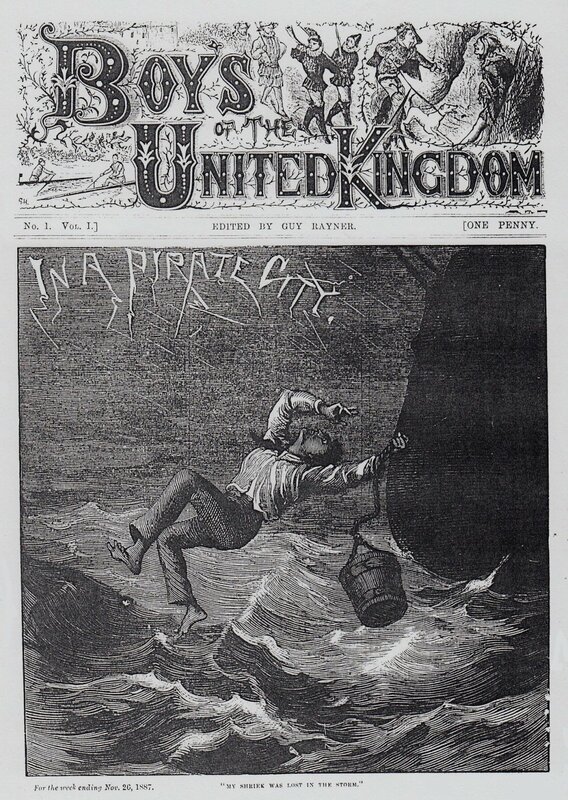 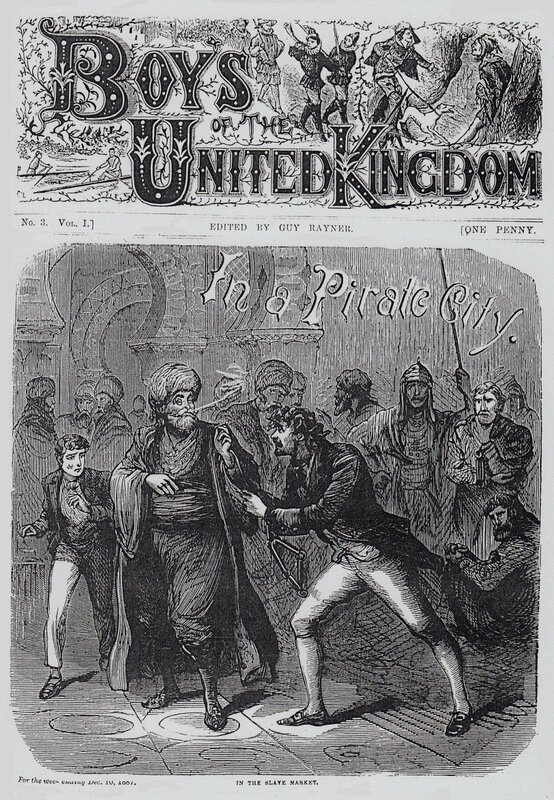 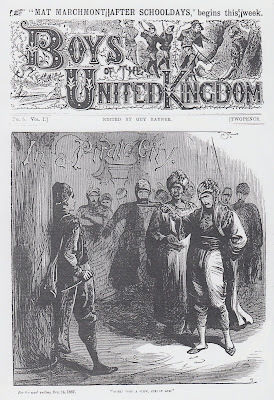 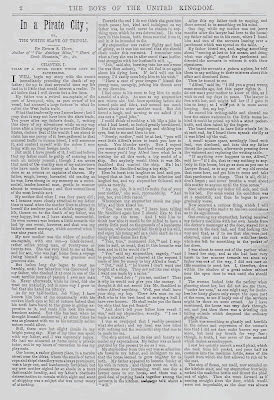 On November 27, 1887, Volume I, Number 1, of Boys of the United Kingdom appeared with the title serial ‘In a Pirate City; or, the White Slave of Tripoli’ by Edwin S. Hope. 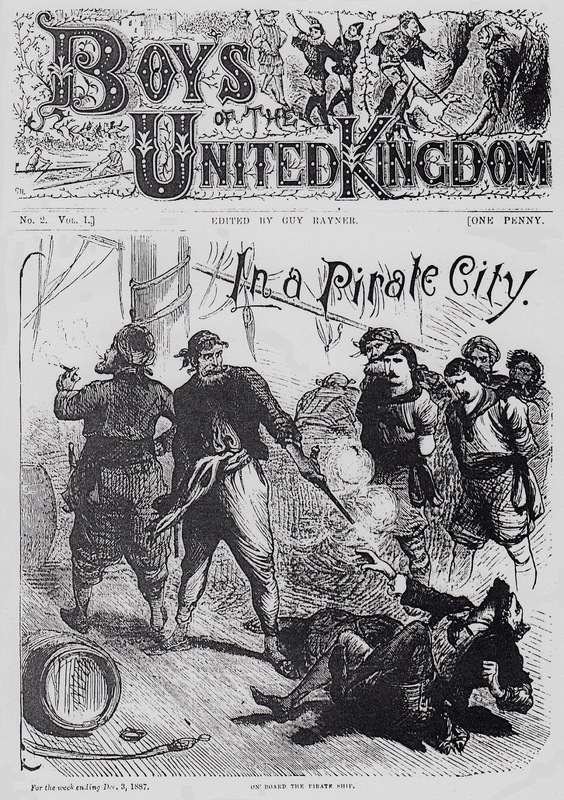 The proprietor was S. Dacre Clark aka ‘Guy Rayner.’ Hope was reported to be author of ‘The Antelope Mine,’ ‘Heart of Dark Mountain,’ &c. The story was a humdinger and the illustrations were redolent of adventure. 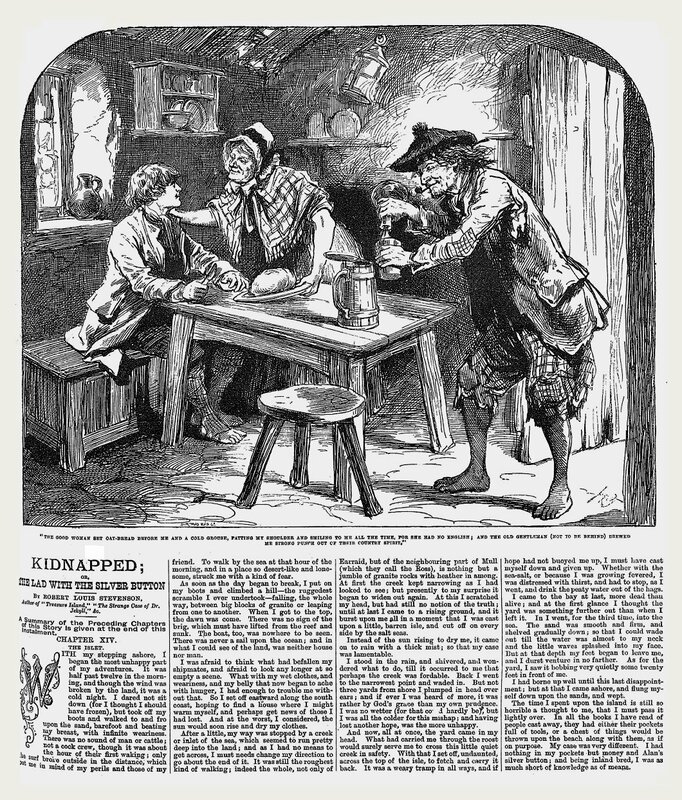 It is known that Hope illustrated many of his own stories. 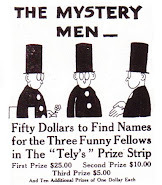 Was this his? 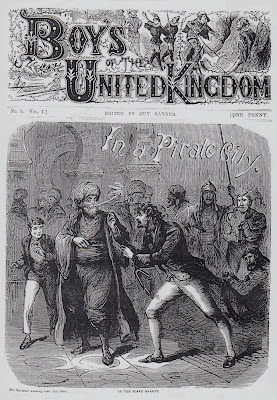 The artist shows the influence of Funny Folks chief artist William Boucher. 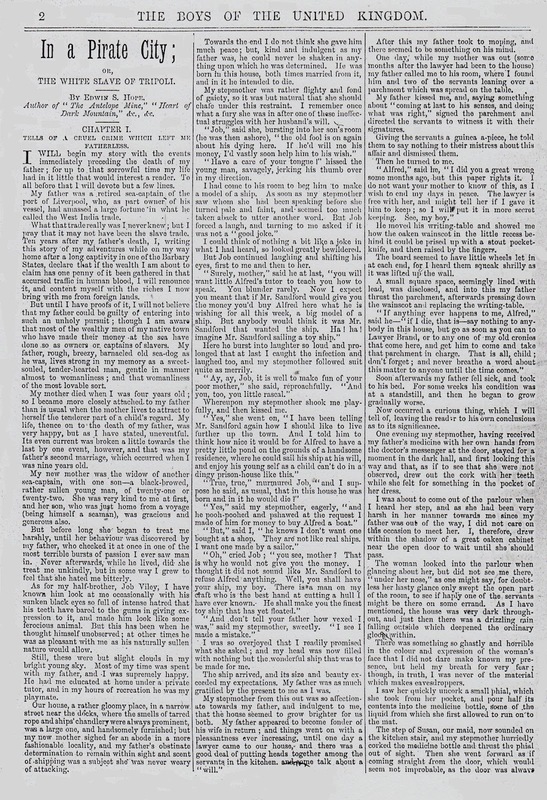 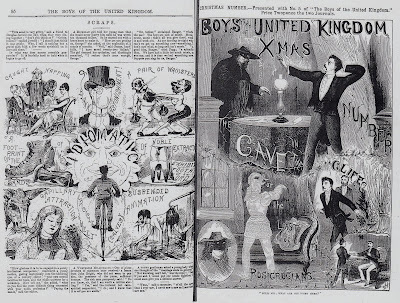 * The Boys of the United Kingdom, ‘For the week ending November 26, 1887’ – April 21, 1888 (22 numbers).